﻿So far, this has been a wonderful fall with beautiful weather and cool new cookbooks. It makes this hobby known as blogging so fun and interesting. I never know which cookbooks will arrive at my door. And, I was really, really excited to find this one on my doorstep. It had been on my Amazon wish list for a long time, but, to my surprise, the publisher sent me a copy of it to review and I almost screamed out loud when I saw it! Eek!! What is all the excitement about you may ask? Well, with all the blogs out there, I can't follow all of them. There are only about two of the blogger-turned-cookbook-authors that I can actual tolerate (or enjoy) and one of those is Jessica at The Novice Chef. 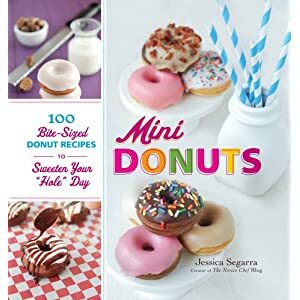 Jessica has some delicious but simple recipes on her blog so I knew that her new cookbook, Mini Donuts, would be wonderful, too. It is! One of the great things about this cookbook is that the majority of the donuts are baked. And, while Jessica gives directions for an electric donut maker, these donuts can be baked in a mini donut pan...which I just happened to have. Until I got this cookbook, my donut pan had been under utilized, but not any more. I ended up baking six different donut recipes for this review. And, I've got about two dozen more than I want to try. 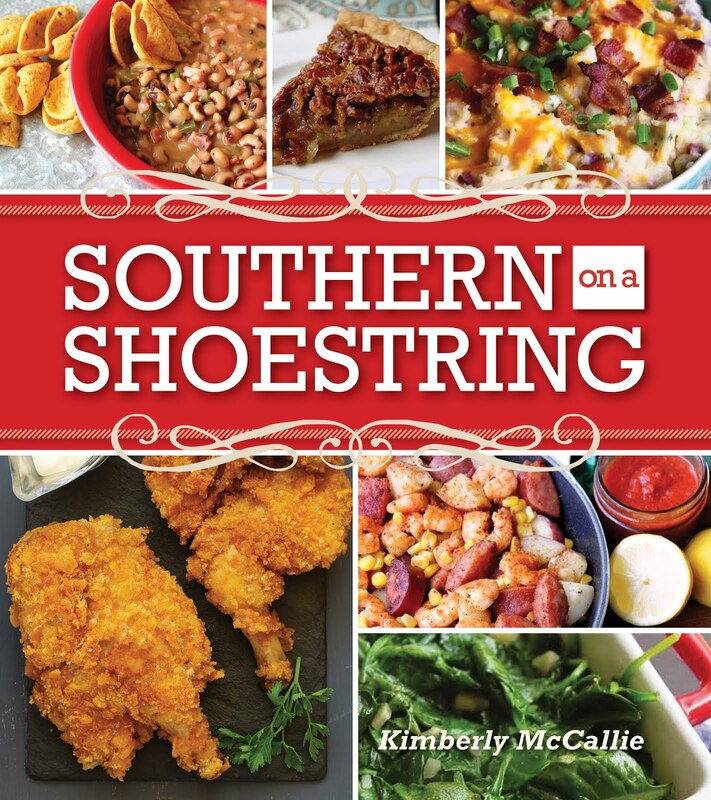 The cookbook is divided into eight chapters: The Classics, Chocolate2 (Squared), Fruity, Donuts of the Stars, Bakery Specials, Candy-Aisle Donuts, Drinks to Donuts, and For the Kid in You. Just reading through the Donuts of the Stars, you can see how creative Jessica is with the Curious George: Banana Cream Mini Donuts and the Homer Simpson: Pink-Sprinkle Mini Donuts. Now, I didn't have any candy bars (they don't last in my house long enough to bake with them) to try out the Candy-Aisle Donuts but I will definitely be trying the Snickers Mini Donut and Nestle Crunch Mini Donut after I hit the after-Halloween candy sales. Wow! How delicious do those sound? I had to stop myself at six types of donuts. I felt like I could have continued on to make the Lemon-Poppy Seed, Pumpkin Spice with Cinnamon-Maple Glaze, Salted Caramel, Cookies and Cream, and Hot Chocolate Mini Donuts. And, don't get me started on the candy bar donuts I mentioned earlier. 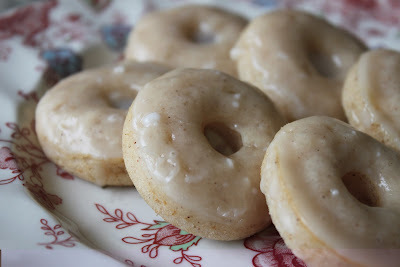 Oh, and I think the Pina Colada Mini Donuts and Eggnog Mini Donuts would be right up my husband's alley, too. If you're a fan of donuts, you must get a copy of this cookbook. A copy of this cookbook along with a mini donut pan would make the perfect holiday gift for a relative, a friend, or yourself. The recipes are simple to make and fun to eat. As for me, my mini donut baking journey is just beginning. In a medium bowl, whisk together egg and sugar. Then add oil, sour cream, and vanilla extract, mixing until thoroughly combined. Gently stir in the flour mixture, alternating with the milk, stirring until there are no lumps. Carefully fold in the minced blackberries. Transfer batter to a piping bag, or to a Ziploc baggie with a hole cut in the tip. In a small bowl, mix together melted butter, brown sugar, flour, and cinnamon. Fluff with a fork until crumbly. If using mini donut pans: Carefully fill each donut indention 1/4 full. 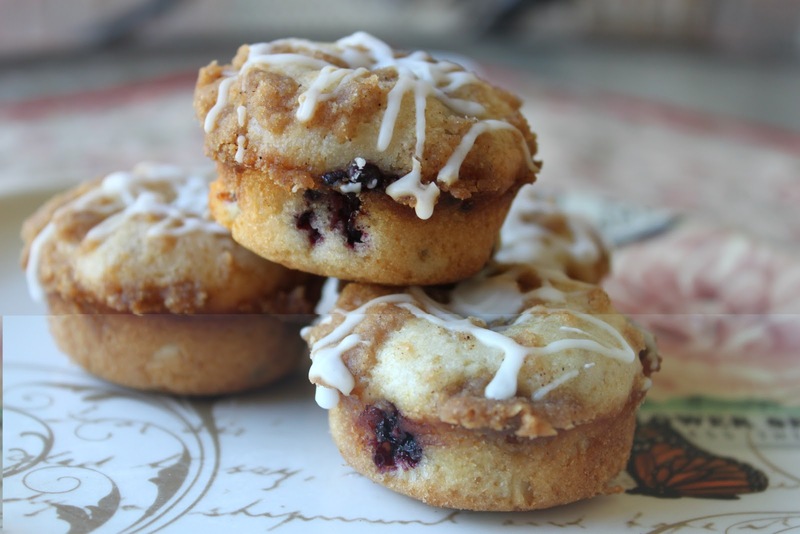 Generously sprinkle the tops with the crumbly brown-sugar topping. Bake for 7-9 minutes or until a toothpick inserted into a donut comes out clean. Transfer donuts to a cooling rack and cool completely. ﻿If using an electric mini-donut maker: Carefully fill each donut indention 1/2 full. Generously sprinkle the tops with the crumbly brown sugar topping. Bake according to manufacturer's instructions or until a toothpick inserted into a donut comes out clean. 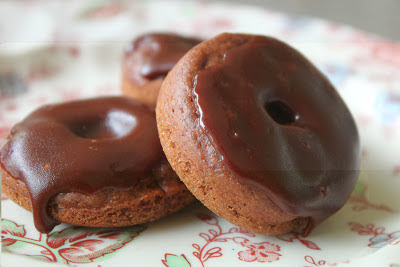 Remove donuts from appliance, transfer to a cooling rack, and let cool 5 minutes. Place wax paper under a wire rack to collect any drippings for an easy cleanup. Then, in a small bowl, whisk together milk and vanilla extract. Add powdered sugar and whisk until smooth. Drizzle the top of each donut with the icing, transfer to a wire rack, and let set for 5 minutes. Serve immediately, or store in an airtight container for up to 2 days. My experience: I didn't transfer the batter into a zippered bag. I used a small plastic spoon to transfer the batter into my donut pan. Also, I baked my donuts closer to the 9-minute mark and used a small metal spatula to help me lift them from the donut pan to the cooling rack. You have the most amazing donunt reviews. I first tasted it a a nearby bistro in front of lancaster gate hotel in London. I like the snack size because it's very convenient to eat. I'll surely try making these at home. Cheers! Finally, a great house-warming recipe! I can't wait to invite my friends over for a London-style high tea in my new apartment!